Everyone loves a surprise. That’s why we are offering 9 unconventional and super awesome holiday marketing ideas for eCommerce so you can put a smile on your customer’s face. 😄 Who knows, those holiday marketing campaign ideas might even surprise you in the form of year revenue results! Christmas brings some of the year’s most welcome surprises. According to the Harvard Business Review, a surprise is like crack for your brain. It changes behavior, intensifies relationships, and strengthens emotions. Because the human mind remembers novelty better than predictability, you can enhance your branding in your customer’s memory and, in turn, build stronger connections with them. Plus, if you’re using social media, try a twist, not a gimmick and watch number of shares soar. Hold a contest on social media. You could ask your followers to share their most touching, funniest, and zaniest holiday memories. Or even invite them to share photo-fails from a past Xmas. Create a hashtag and watch them have fun with your brand. Do something sentimental. ADs that rely on sentimentality cop 50% higher rates on returns. So watch the Hallmark Channel, get inspired, and try something your unique client base will find emotionally driving. Capitalize on pets. According to Inc, cats rule the internet. Videos of cats and dogs interacting with your products in a Christmas themed setting could be just thing that gets your customers clicking this Christmas. Giveaways are a great way to collect brand new email addresses. The process is simple. Grow your list by giving away a product or experience your customers would value. Ask them to share the contest with their friends on social media. As the shares grow, so do the entries and so does your email list. Best of all, these are organically grown emails attached to a prospective buyer with a proven interest in your product or service. Deck your contest collection form in Christmas themes. For the tools that can help you do this, check out ContactPigeon, Viral Loops or KingSumo. When it comes to holiday marketing platforms, Instagram is the shining star. Follow it by posting daily and engaging with your customers. Xmas-related GIFs, funny memes, three-second videos, and a touch of holiday spirit can help customers engage emotionally with your brand. Don’t be afraid to look real, natural, and even a bit messy. Remember, people buy from people. For every order over $X, toss in a little something extra to show your customers some love. The X is a threshold you’ll need to determine based on your product pricing and ideal cart value. It’s more than a nice gesture, it’s an upselling motivation. When you select those 20 products that could make a nice gift, be sure to have a specific gender and age in mind. The presents will be more meaningful. GIFs (Graphic Interchange Format) have been around since 1987, but far from receding into retro, they are only growing more popular. Today, GIFs are shorter, more mobile-friendly, and cheaper than video. But they’re just as effective. Create your GIF with http://gifmaker.me/. Don’t be afraid of showing your holiday spirit with these! Everybody loves free goodies especially during the holidays when expenses start to soar. Depending on your industry, think of something you could give away that’s nearly guaranteed to make your customers happy. Here’s a tip: focus on their kids if you can. Modern winter festivals are all about kids after all! Seasoned eCommerce professionals know that marketing automation lets you segment your list, track customer behavior, build a workflow, improve your Holiday Marketing Strategy. The Santa Pop Up. Create a popup that will appear to just 1% of the site’s visitors. This popup will giveaway an exclusive Xmas coupon, such as free shipping, to the lucky winners. The Santa Automation. 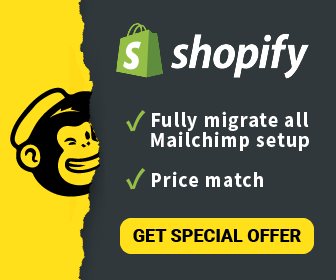 Set up an automation targeting your VIP customers, and offer them a special free shipping coupon or a secret, exclusive offer via email or online reminder as they visit your site. For sure, an eCommerce store with an all-in-all marketing automation software will be ahead of its competitors this holiday season.